Boas notícias para os donos de N900 e N9. A única coisa que atrasava o desenvolvimento do Me, era a Nokia. Desde que eles disseram que não iam fazer nada para o N9 não sei onde estão as boas noticias. Nice, espero que consigam de facto fazer diferença e ser uma alternativa - mesmo que longe do mainstream. 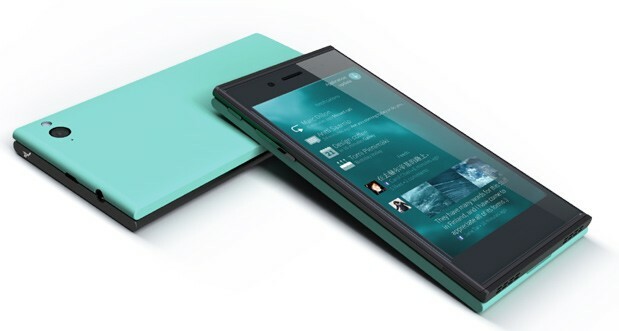 If competition breeds innovation, then there's plenty promise in this latest mobile development from Jolla. The Finnish company, comprised of former Nokia employees, is poised to enter yet another combatant to the wireless arena with a MeeGo-based OS, codenamed "Sailfish," as early as this November. According to The Wall Street Journal, an initial round of funding has raised €200 million to push the effort forward and the small start-up is investing €10 million of its own to bolster the platform's prospects. Having been recently abandoned by Elop and co. after the arrival of the N9, this iteration of the operating system will continue to be open source and should pave the way for OEM adoption, although certain aspects of the UI will be licensed. According to CEO Jussi Hurmola, the new hardware's expected to hit next month -- just in time for a glut of other smartphone bows. Until then, we'll reserve our judgment and hope for the best. tem bom aspecto o SO da Jolla,pena que nao venha para o meu N9,mas de facto parece uma evoluçao do meego. ja tinha visto alguns comentarios no site da Jolla a dizer que pode haver um port para o N9,vamos ver como fica a versao final do SO deles,para ver se vale a pena....da nokia nao vem nais nada mesmo!!!! e a possibilidade de utilizar as apps android no meu N9 deixa me entusiasmado. Oficialmente não podem suportar o N9 porque é um produto da Nokia e cabe ao fabricante suportar o produto, visto que é a Nokia que fabrica e comercializa o modelo. Agora parece-me óbvio que o N9 suporta não oficialmente o Sailfish porque a Jolla mostrou a demo do interface num Nokia N950 que tem o mesmo hardware do N9. We recently had the chance to spend time with David Greaves and Vesa-Matti Hartikainen of Jolla and take Sailfish OS for a spin. As you might recall, this open source mobile OS builds upon Mer (a fork of MeeGo that includes Qt) and uses the Nemo framework with a custom UI. Like any decent Linux-based OS, it supports both ARM and x86 devices. The company is also behind the Sailfish SDK which is in the process of being finalized but is still open to developer feedback (the source code is available). After seeing Jolla's various demo videos and noting some UI similarities with MeeGo (swipes) and, strangely, with BB10 (peek gestures), we were eager to experience Sailfish OS for ourselves. If you're wondering why the mobile OS is usually shown running on Nokia's N950 developer handset, that's because Jolla employs many ex-MeeGo engineers, so the OMAP-based phone was a natural fit. We were first given a walkthrough of Sailfish OS, then allowed to play with it. Many apps are still being worked on and some are still off-limits (we got in trouble for launching the camera), but what we saw was pretty solid. Take a look at the gallery below, then hit the break for our hands-on video and first impressions. Bom, o telefone até é giro e tal, mas esperem lá... Eu se quiser correr apps android não é melhor comprar um telefone android? Se for como OS Da BB, sim é.